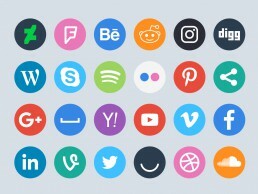 Enjoy a FREE set of social media circle icons. Each of the sixty flat styled social media icons has been drawn in vector format for Adobe Illustrator and Photoshop. The Illustrator files and supplied as CS4 Ai files and Ai8 EPS. 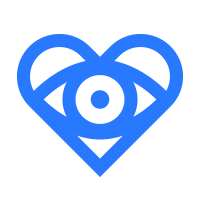 The Adobe Photoshop PSD file includes all the icons as Smart Vector. The FREE download includes four colour versions: colour, flat colours, black on white and white on black versions. Includes new Instagram, Google+ and Facebook icons. The full set of sixty icons in four different colour ways.